Are you planning to spend your next vacation in Mauritius ? Looking for what to do during your trip? Mauritius is a very small country, but it is full of places of interest to discover. 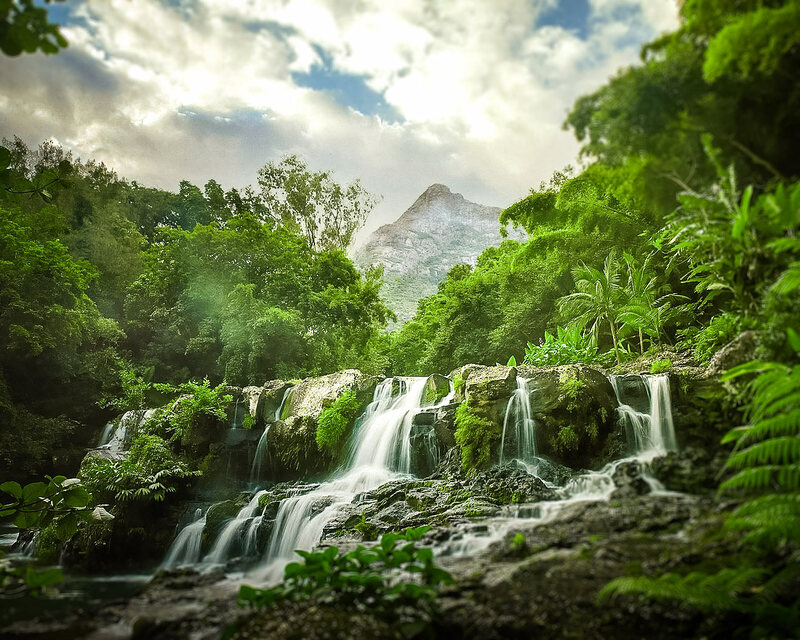 Famous for its heavenly beaches and turquoise waters, Mauritius also offers beautiful walks in the forest and mountains. From the beaches of Belle Mare and Grand Baie to the church of Cap Malheureux, Le Morne mountain, the Black River Gorges National Park or the magnificent Ile aux Cerfs, you will not get bored during your stay on the island Mauritius. To help you plan your trip, I propose a Top 20 things to do and see in Mauritius, with some tips to facilitate your visits. So, what to visit in Mauritius? 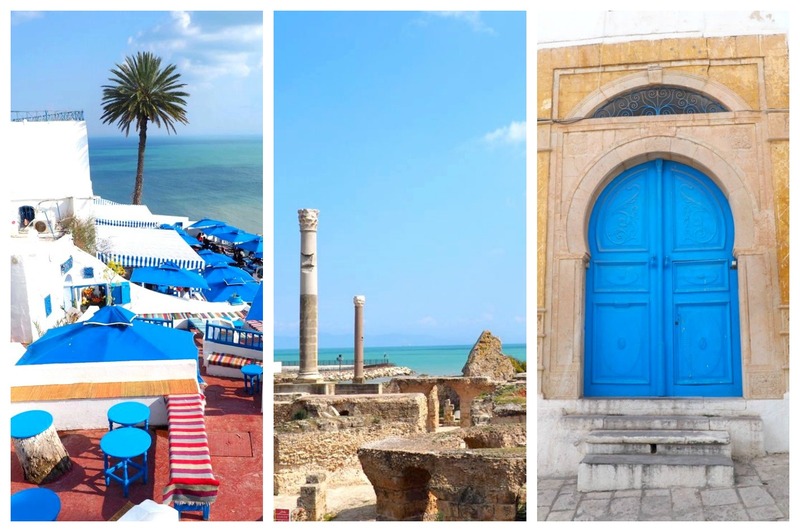 Go now to discover the most beautiful places! It is one of the most touristic towns and beaches on the west coast of the Island. Flic en Flac is a must-see place for your trip to Mauritius. This coastal city concentrates an impressive number of luxury hotels, as well as restaurants, clubs and bars in front of the public beach. The beach of Flic en Flac is very long and extends over ten kilometers. Turquoise sea and white sand are of course at the rendezvous, with a large part with trees where you can sit in the shade. 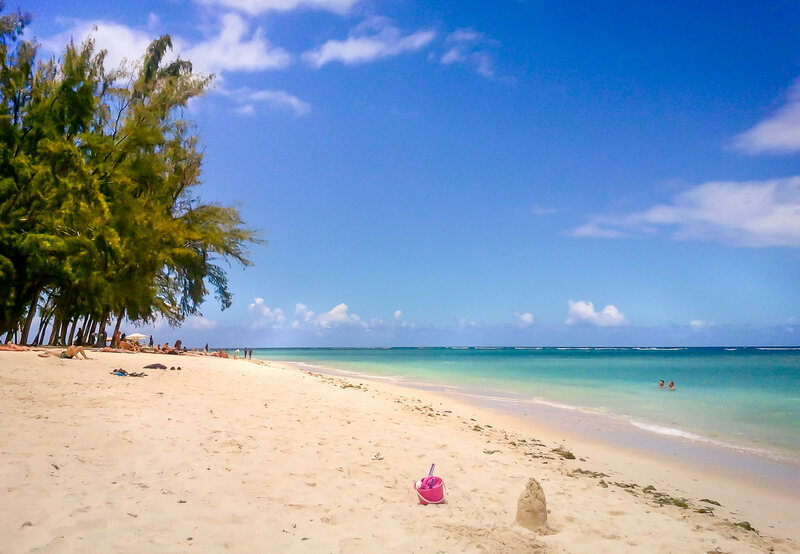 The Mauritian families are very often on the weekend, Sunday is always extremely busy so prefer to go on weekdays if you do not want to face the crowd. At the beginning of the beach, several trailers and street vendors offer snacks, fruits and drinks to enjoy, which is very pleasant to do sitting in front of the ocean, before or after a bathing afternoon. When the sea is calm, the water is transparent and you can, with a snorkel and a mask, see many multicolored fish. Several dive centers also offer one-day sessions for scuba diving with bottles (the formula includes a training phase in the pool, then an excursion on the high seas with a monitor). You can also try several water activities and take a boat trip in the lagoon. If you like to have fun in the evening, you will find various restaurants and discotheques in front of the beach. Go taste the roast Mauritian (local specialty: kind of naan stuffed with different curries and sauces) to the trailer named “Roti Aka ” at the beginning of the beach. It’s really a delight! 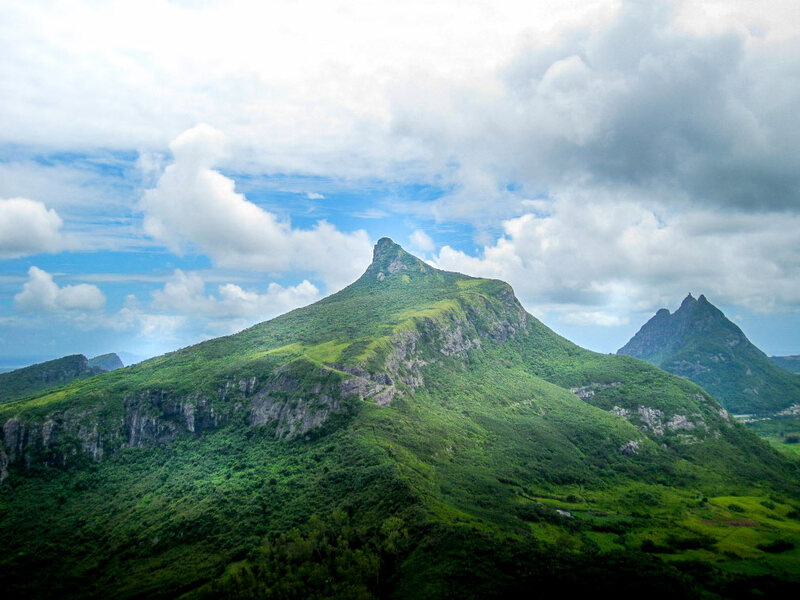 The Montagne du Pouce is the third highest mountain in Mauritius (it rises to 812 meters). Its top has the shape of an erect thumb, which gave it its name. 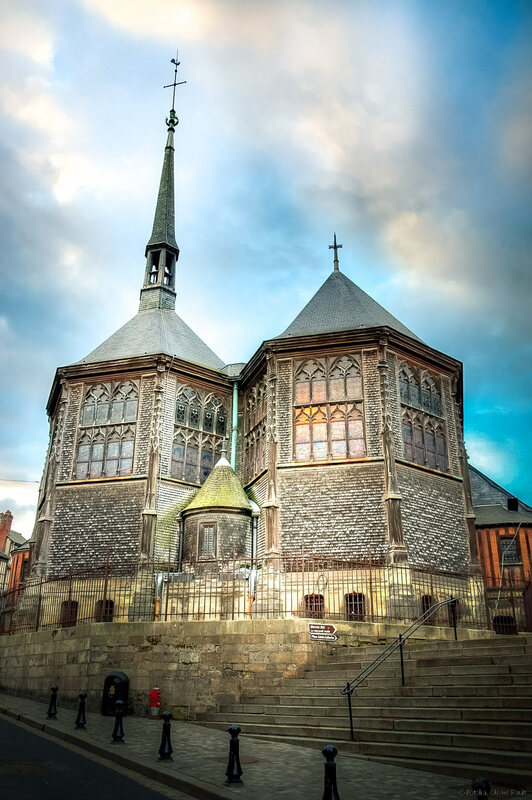 Visible from Port Louis, it is accessible from the city of Saint Pierre. You can go directly to the foot of the mountain by car (there is room to park just before the start of the trail) and start the climb on your own. Otherwise, the ascent of the Pouce is organized from the shopping center Les Allées d’Helvetia in Saint-Pierre. You can get there by bus. From there, a guide takes you to Le Pouce and guides you to the top (you have to book in advance at your hotel or at a travel agency). The climb is accessible to all, rather easy, and will take you a half-day round trip, with downtime to observe the view. After 1 to 1h30 walk in the rainforest, you will arrive on a kind of meadow very wide, dominated by the pic du Pouce. The ideal is to picnic here, with a superb view of the surroundings. The ascent of the peak will take you 15 minutes more and this is the hardest part of the adventure : it is very steep and you really have to climb the rocks to reach the summit. Be careful because some places are quite dangerous, I do not advise children under 14 years and people with vertigo to do this last part. There is often a lot of wind at the top and you have to be well focused. From the top, you will discover an exceptional panorama of Mauritius and the small islands around. It’s really a very nice hike to do during your trip to Mauritius! Remember to bring water but also a mosquito lotion to avoid being forced to give up because of the swarm of mosquitoes that attack hard in the forest. Do you dream of white sand beaches, azure skies and clear water ? Then it is precisely on Ile aux Cerfsthat you will find your happiness. On the east coast of the island, in the lagoon of Trou d’Eau Douce, this small island paradise is one of the most beautiful tourist sites in the country, and also one of the most popular with tourists. To access the Ile aux Cerfs, it is compulsory boat. From the Trou d’Eau Douce beach, water taxis shuttle to the island every 20 to 30 minutes. You can also choose a longer excursion starting for example from Blue Bay to the south of the island by catamaran. The boat ride in the middle of the transparent sea and small islands is just magical! To book your tour it’s right here. Once arrived at Ile aux Cerfs, you will easily spend half a day there. I tell you straight away that if you imagine a desert island, you are not there at all. The island is very (too much?) Touristy is really dedicated to entertainment and water activities. You can enjoy the beautiful white sand beaches for lazing, kayaking, sailing, parasailing and even golf. Restaurants and bars also allow you to dine or have lunch on site. Personally I tested the restaurant Marsala, specializing in Indian cuisine, and I feasted. 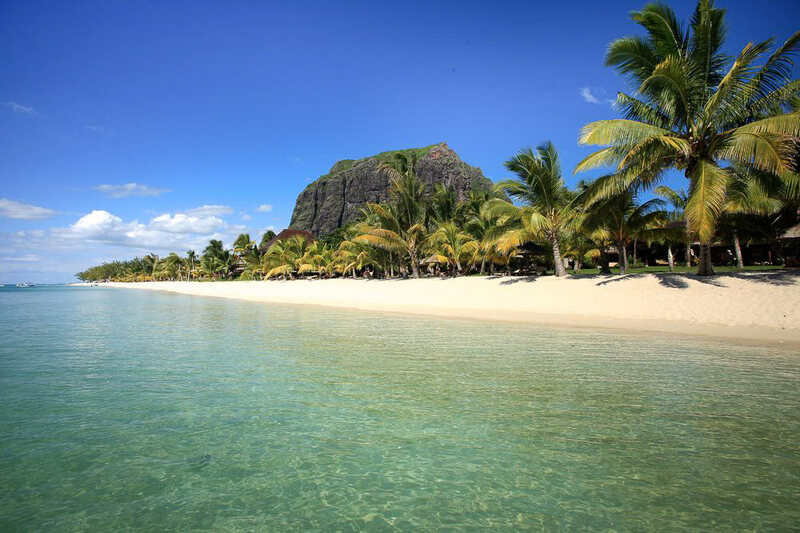 The beach of Cap Malheureux is, in my opinion, one of the most beautiful places in Mauritius. 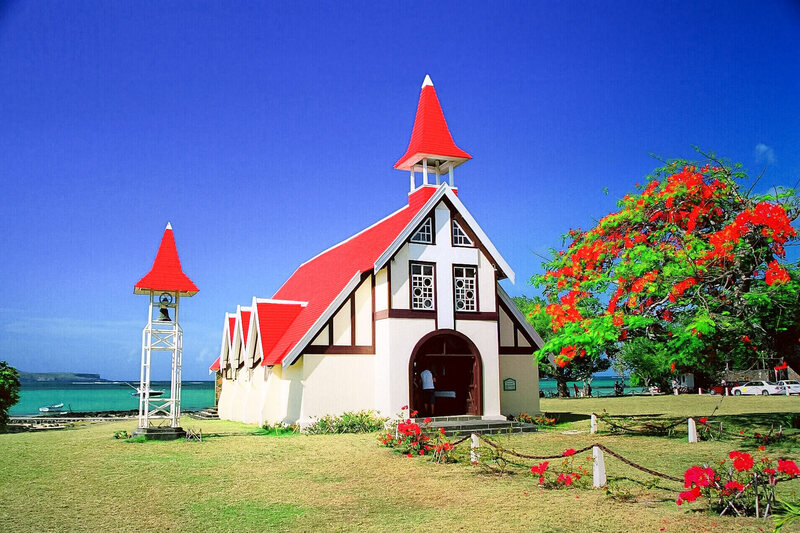 Easily recognizable by its bright red church mingling with the azure blue sky and the sea, it is a truly heavenly place. When you visit the north of Mauritius, stop here and spend half a day there. You can enjoy the beautiful beach, walk around and swim. I also advise you to spice up the day to make an excursion to the Flat Island, this small island just in front of the beach of Cap Malheureux. You will find guides on the beach of Cap Malheureux but also in Grand Baieor Peyrebere. The guides are very friendly, they drive you on the island in small motor boat and organize for you an aperitif with rum and arranged meals on a background of local music. The immersion is total! Once there, you can go diving and snorkelling to observe the fish and shells. Count around 1600 rupees (40 euros) for the boat trip to Plate Island. Grand Bay is a tourist town in the north-west of the island, a former fishing village turned resort. Here again there is a significant concentration of luxury hotels and magnificent villas. 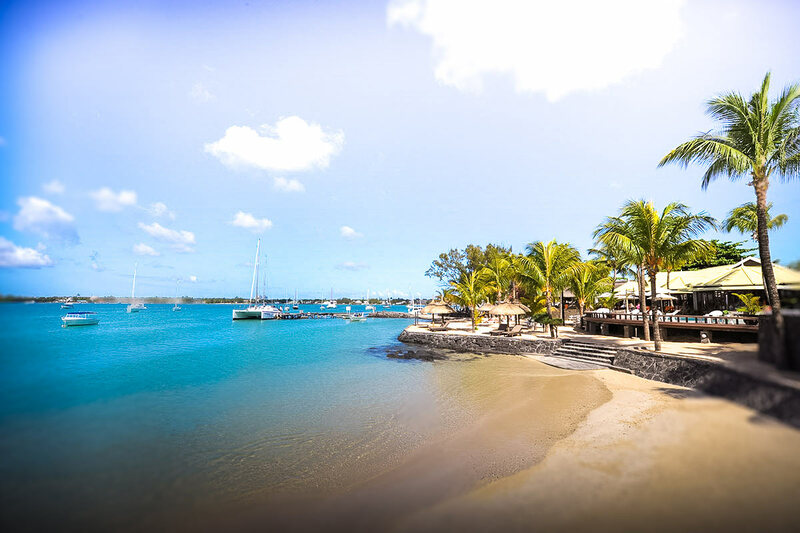 The inhabitants of Grand Bay are part of the richest population of Mauritius and many expatriates live there. During your stay in Mauritius, you will discover mostly beautiful beaches, but not only. Spend a day discovering Port Louis, the capital. The city itself is not very beautiful but, far from the tourist sites, you will discover here the real local life. Stroll through the streets to discover the history and culture of Mauritius. the Caudan Waterfront: the oldest shopping center on the island, opened in 1996, the Caudan Waterfront is full of charm and you can easily spend an entire afternoon there. Built at the edge of the ocean, there are shops of all kinds, restaurants and various snacks, a cinema and even a casino. The famous umbrella alley is lined with small vendors of fresh fruit juice, snacks with cassava, but also artists and street vendors. The atmosphere is very pleasant and on weekends there are often shows and concerts in the central square. This is also where the Craft Market is located , the kingdom of the Mauritian crafts where you will find all sorts of objects, clothes and typically Mauritian products. You can also visit the Blue Penny Museum, the most famous museum on the island that traces the history of Mauritius. The trailer of Patrick and Rosie Latulipe is present every day in the alley of Umbrellas of Caudanand what they prepare is to die for. Everything is made from cassava. You’ll be able to taste cassava -style faratas (or rotis) stuffed with vegetables, patties, cassava pudding (my favorite), and other savory and sweet snacks. It is something that you do not eat often elsewhere and it is to discover. Place d’Armes: This square is located opposite the port, in the banking district. The statue of François Mahé La Bourdonnais, French governor who founded the city in 1735, is erected in the center. On the esplanade, you can admire the royal palm trees and several guns that testify to the colonial heritage of the city. North of the square is the Government Palace. 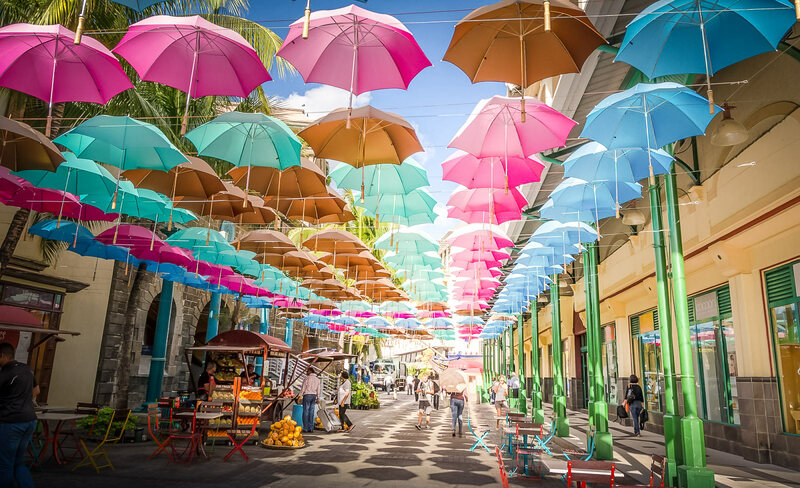 the central market: it is the most lively place in Port Louis. It is easily accessible from the place d’armes, a few minutes walk following the crowd. You will find a multitude of stalls of various fruits and vegetables, and merchants highly motivated to attract buyers. 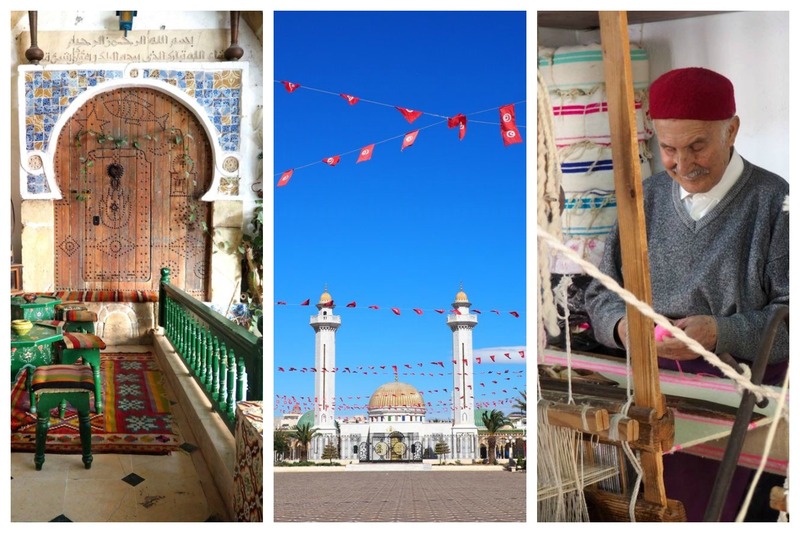 You can also enjoy some local specialties on the run: dhall purri, cakes peppers, rotis … You will also find clothing, vendors of souvenirs and local crafts. Sellers tend to offer strong prices when dealing with tourists. If you want to do good business, do not hesitate to haggle because there is always a margin to be made on the prices offered. The Citadel Port Louis, or Fort Adelaide : This fortress was built by English settlers in 1834. Dominating the city, it was at the time a bulwark and a means of defense against enemies (in other words the French colonizers) . We can also see several guns that testify to this time. The Citadel is more than 100 meters high and you can enjoy a panoramic view of all of Port Louis and the surrounding mountains. The site has recently been renovated especially for tourists, with several souvenir shops. If you go to Port Louis by car, park at the parking Caudan, it is extremely difficult to find a parking space in the city (the parking is free of charge from 16h and weekends). In the south-west of the country, near the Morne Brabant, is the superb plain of Chamarel where you will find one of the main natural curiosities of Mauritius: the land of the 7 colors. You can imagine, it is a must-see tourist site! Located on a private site (entry is paid), the land of 7 colors is a large clearing composed of dunes, whose color variations form a beautiful gradient. The site can be visited in half a day. After paying the entrance, you will take a path that will lead you to a view of the waterfall Chamarel which is about 100 meters high. It is even possible to go down to bathe if the heart tells you. Continue your way and you will come to the land of the 7 colors which reserves you a really incredible and unique spectacle. Take a tour by the Rhumerie de Chamarel which offers guided tours to discover the making of rum Mauritian and tastings of rums distilled on site. In the category of heavenly beaches, the beach of Belle Mare is at the top level. She will make your eyes full with her postcard decor. Located on the east coast of the country, this beach is certainly one of the most beautiful of the island. It stretches for about 10 km, along which are installed several high-end hotels. A large part of the beach is fortunately “free” and offers all visitors pristine white sand and clear blue waters. The beach is also bordered by palm trees, casuarinas, and a still well preserved nature. The Bras d’Eau National Park is a nature reserve located east of Mauritius. Its name comes from the broad, arm-shaped stream running through it. Mainly composed of forest, it covers nearly 500 ha. I advise you to spend a day, it is quite uncrowded and the trails are well laid out, while not altering the natural and wild atmosphere of the site. If you are discreet and are on the spot early in the morning, you can observe the local fauna and meet local endemic birds such as Gray White Eye, Coq des Bois, Kestrel or monkeys, bats and wild boars. On the flora side, the park includes specimens of white eucalyptus and mahogany, which are sometimes more than 40 meters high. The place is peaceful and cool, perfect to relax and spend a quiet moment away from the bustle of beaches and cities. You can stroll in serenity to the sound of birdsong, and discover along the way some ruins, including those of an old sugar refinery and a lime kiln, as well as pools on the edge of which to make a break (Mare Mahogany and Mare aux Chevrettes). 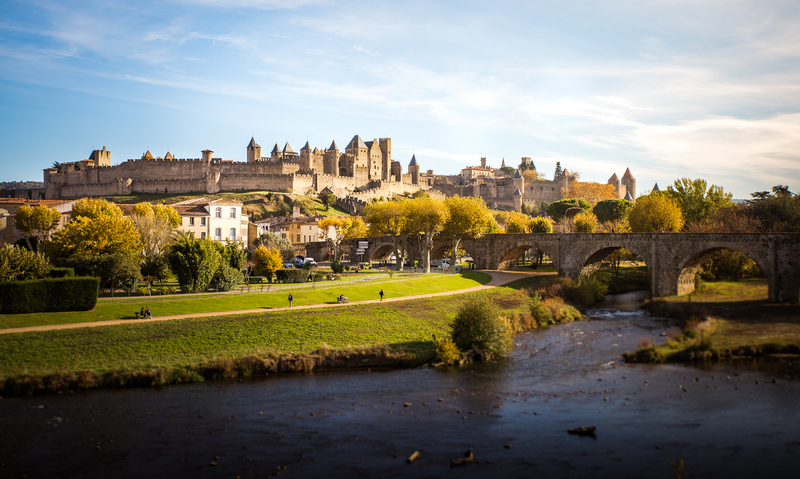 You access the site through the villages of Rivière du Rempart and Roches Noires. A parking area allows you to park your car at the entrance and some kiosks allow you to eat before the walk. If you travel by bus, you will have to get off at Flacq station and take a taxi to join the Bras d’Eau park. This paradise beach is located in the north of the island, just 10 kilometers from Grand Bay. 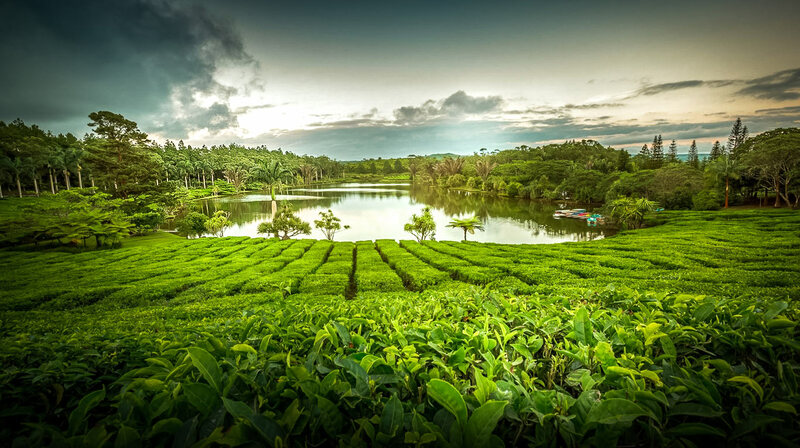 The Tea Route is a gastronomic and cultural journey. It will make you discover the colonial and traditional Mauritius through the stages of the manufacture of the Mauritian tea. The visit is done in three phases, with a guide that transfers you from one place to another. 1st stage: the Domaine des Aubineaux. Visit one of the last colonial mansions of the island (which dates from 1872) then visit the old stables, the tea room, the distillery of essential oils and gardens. 2nd stage: Bois Cheri. This is where the tea is grown and harvested. On the program: visit of the tea factory to discover the stages of production, then visit the tea museum. Finally, tea tasting in the chalet with panoramic views of the entire area and the southern region of the island. 3rd stage: The Saint Aubin. Visit the colonial house (built in 1819) transformed into a restaurant where you can enjoy a typical Mauritian dinner. Visit of the sugar factory and rum distillery. Visit the “Vanilla House” where is produced the vanilla from Mauritius, typical perfume added to the local tea. The tea route in its entirety is done in a full day : count 5 to 7 hours of visit with the time of road. Prices ( with lunch included) : 55 euros per adult, 29 euros per child, free for children under 5 years old. Of course if you do not want to take a guide and visit these places independently, you can of course also do it for yourself in several days. You can find all the information about the visit at this address. 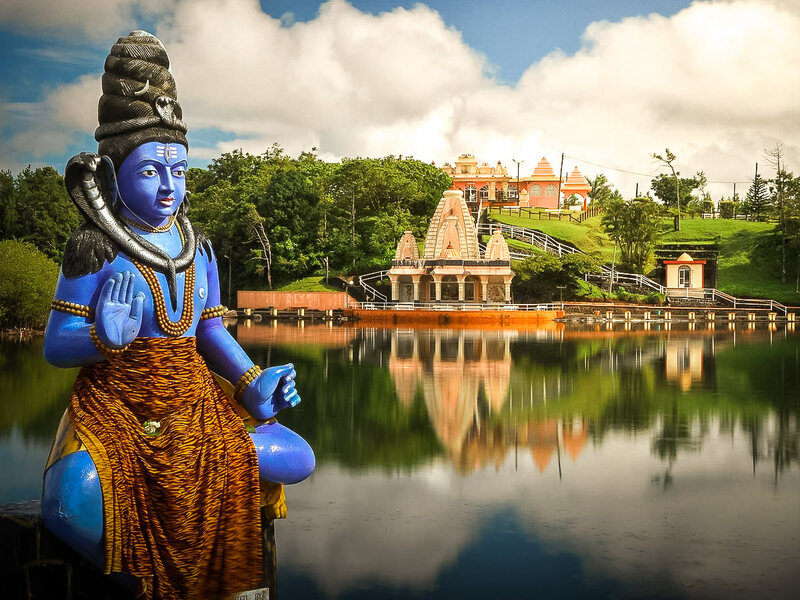 Grand Bassin, also called “Ganga Talao ” would be the most sacred place in Mauritius. A place of pilgrimage for the island’s Hindus on the occasion of the Maha Shivaratree annual festival, the Grand Bassin site is composed of a natural lake (formed by an old crater filled with water) bordered by several open Hindu temples pilgrims and visitors. The main curiosity of the place is undoubtedly the two huge statues of the god Shiva and the goddess Durga. The latter is also the largest female deity statue in the world! They are over 30 meters high and are really impressive. The visit of Grand Bassin is a must in Mauritius and is generally appreciated by visitors. 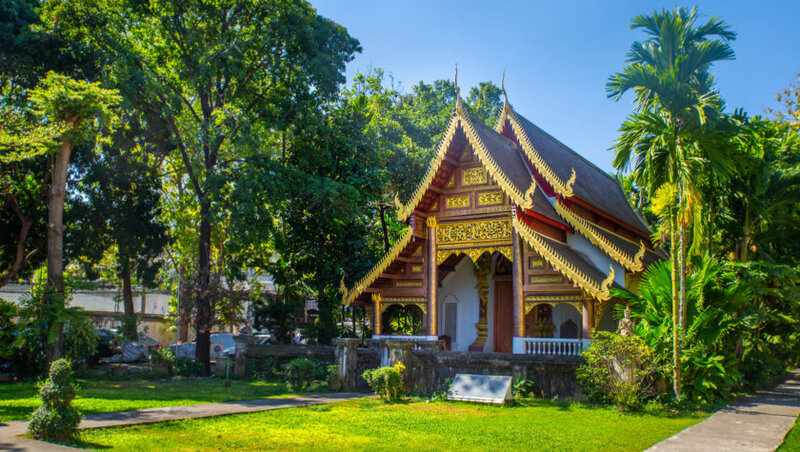 You can visit the temples (and even have a “tika” painted on the front if you wish) and go around the lake to discover the lush surroundings and other religious statues. Grand Bassin is also the kingdom of monkeys, there are many and are used to teasing tourists for food. Half a day is enough to visit Grand Bassin, and the entrance is free! This former colonial mansion is located in the center of the island, near the Moka River. It was built in 1830 and belonged to the British and French aristocrats of the 19th century. Became a museum in 1986, it allows to put a foot in the colonial life of the time. It is one of the largest houses on the island. The furniture presented is vintage, the rooms have been restored and are mostly wood. The estate also has large grounds with many local plants and fruit trees, as well as a pretty English garden. You can also visit a museum that displays a rich collection of period objects. Outside, you can walk along the banks of the river from where many kilometers of trails to hike in the dense vegetation. You will discover waterfalls and many endemic tropical plants. It is a very pleasant and peaceful ride, ideal to end the day smoothly. The site also includes a restaurant and a gift shop. Prices: 10 euros per adult, 6 euros per child. If you go through the center of the country, you can make a jump in the biggest shopping center of the island: the Bagatelle Mall of Mauritius. The mall has many different shops, 3 supermarkets and a cinema. This is not a destination to speak of because it is a commercial center as we see it all over the world, but to eat a piece or go see a movie at night, it’s very nice. Bagatelle borders the highway and is easily accessible by bus. Going on an excursion in the Ferney Valley is one of the essential activities to do during your stay in Mauritius. This nature reserve of over 200 hectares is located in the south-east of the island and is home to a very rich fauna and flora. The reserve is composed of forest and hilly meadows. Everything is very green and the scenery is really beautiful. 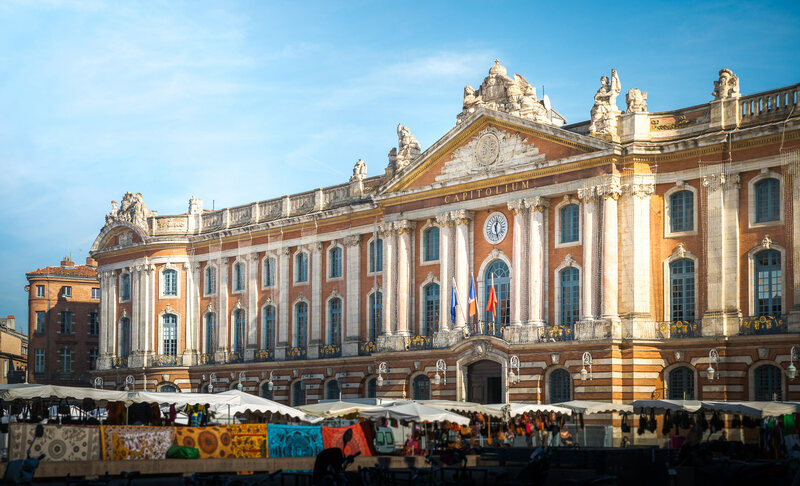 To get there, you will have to take a bus to Mahébourg then take a taxi to get to the old sugar factory of Ferney, between the towns of Mahébourg and Vieux Grand Port. This is where the visit starts, which you can choose to do with or without a guide. Before leaving by shuttle bus until the start of the tour, take a walk through the (very small) coffee museum located near the reception and the gardens of the property where it is even possible to picnic. After crossing 3 km of cane fields by bus or pick-up (beware of jolts! ), You arrive in the reserve. You have the choice between walking on foot, or in 4 × 4. If you choose walking, a 3-kilometer trail guides you through the dense rainforest and allows you to admire panoramic views of Mahebourg Bay and the small islands off the coast. Open your eyes and raise them from time to time to the sky because you can see during the walk some species of birds endemic to Mauritius as the Kestrel or Pink Pigeon. The excursion in 4 × 4 lasts for 1:30 and will give you the opportunity to go a little deeper in the valley following the trail of ten kilometers long. Warning: do not venture into the Ferney Valley without anti-mosquito lotion at the risk of having a very bad time. Sunscreen and walking shoes are also required. Information for rates are on the official website (in English). Book the excursion in advance, especially if you want to do the guided tour. In the south-west of the island, do not forget to go for a walk in the Black River Gorges National Park , the largest natural park in Mauritius (6754 hectares). Lovers of nature and hiking will love this place. Plan to spend half a day hiking and picnicking on site. The Black River National Park Gorges offers exceptional hikes to dive into the heart of the native forest,discover waterfalls, rivers and magnificent views of the landscape below. 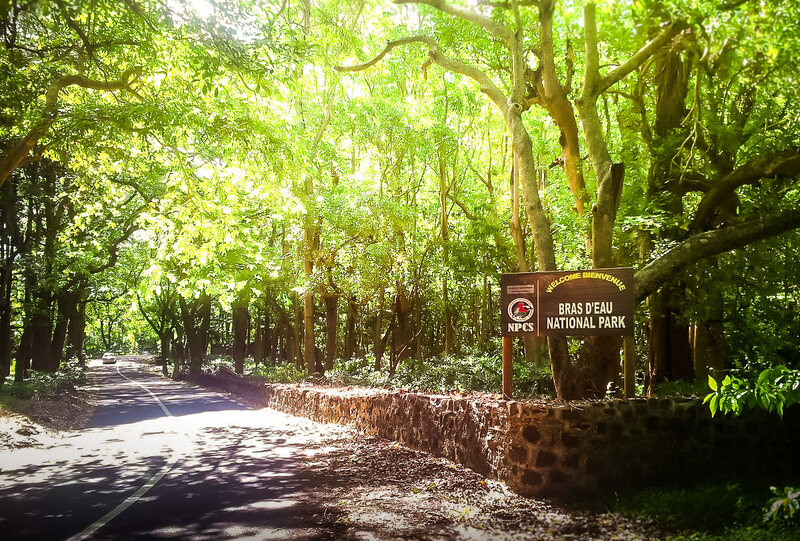 This forest has the particularity of sheltering more than 300 species of endemic plants and 9 species of endemic birds of Mauritius. Remember to wear good hiking shoes because the paths are quite steep at times. The anti-mosquito cream is also not to be forgotten. For a guided tour, allow half a day, from 9h to 13h approximately, with picnic included at the end of the course. For the free visit, you can spend half a day as a whole day because there are several possible hiking trails. Avoid visiting during the rainy season (December to March) because the site is very humid and the roads are particularly slippery. In the dry season, it is very hot so remember to protect yourself from the sun and bring water. 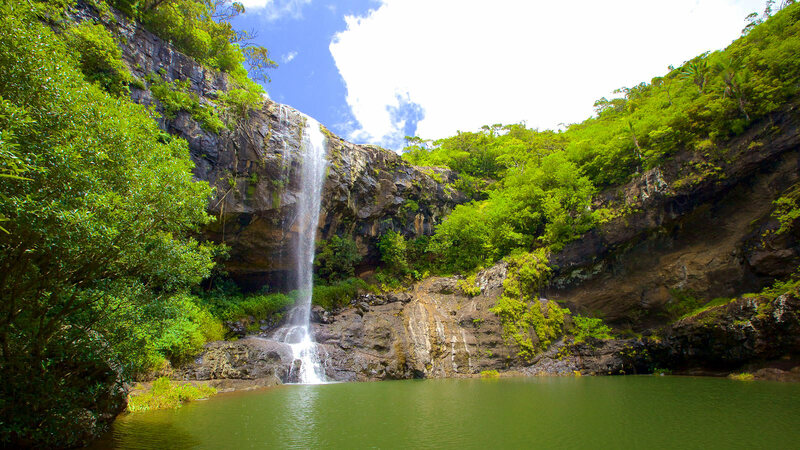 Near Tamarin in the west, hiking 7 Cascades is an excursion that I strongly advise you to do during your trip to Mauritius. You will have the choice between 2 main circuits: that of the first 4 cascades, and the complete circuit of the 7 cascades. It is possible to hike freely, or with a guide. Taking a guide is absolutely not necessary to make the entire route, but it allows however to have accurate information on the scene, to have more security and, in addition, the cost is not excessive ( we paid 100 Rs (about 2.50 euros) per person for a guide). The guided tour will take half a day for the first tour and a full day for the full circuit, with breaks, lunch and swimming included. If you want to be independent and do not plan to take long breaks, you can do the full hike in about 4 hours. Le Morne is a mountain in the southwest of the island, a UNESCO World Heritage Site since 2008 and surrounded by more beautiful beaches than any other. Most are beaches privatized by hotels but you will have access to the public beach of Morne, lined with palm trees, which is one of the most beautiful and quiet (except Sunday!) Of Mauritius. Wilder than the very tourist beaches of the north and the west, it invites to calm and relaxation. During your journey in the south-west, do not miss to come and ask you on this beautiful beach located just at the foot of the mountain. You can easily get there by bus, or by walking if you undertake to tour the Morne on foot, which is very nice to do too. If you are driving, coming out of the beach continue on the main coastal road (elected one of the most beautiful roads in the world, you will understand why), and stop at the rock Macondé, a huge rock that s ‘advance in the sea. 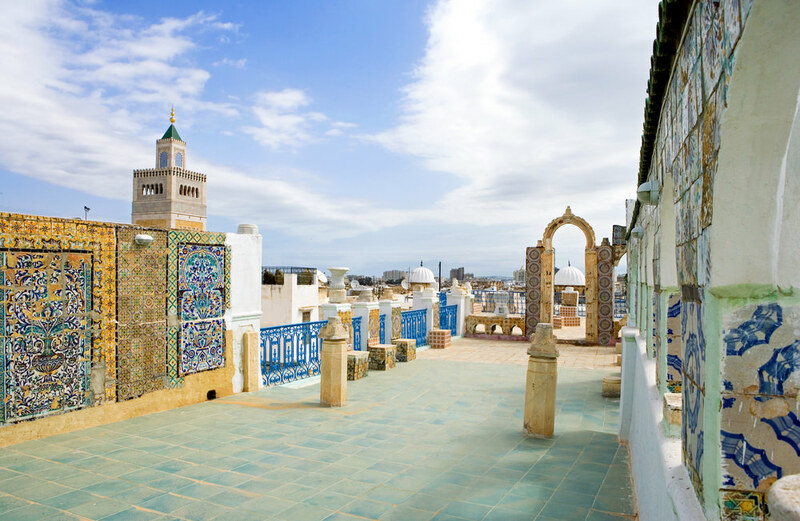 Stairs allow you to climb and you discover at the top a breathtaking view of all the surroundings. On a clear day and in the dark, it seems that one can even see on the horizon the lights of the island of Reunion . A street vendor is often posted right in front of the rock and offers an exceptionally good fruit salad, for only 25 rupees (about 50 cents), it’s frankly delicious and refreshing. The hike to the top of the Morne mountain is one of the most beautiful trips you can do in Mauritius. Count around 3 hours round trip. 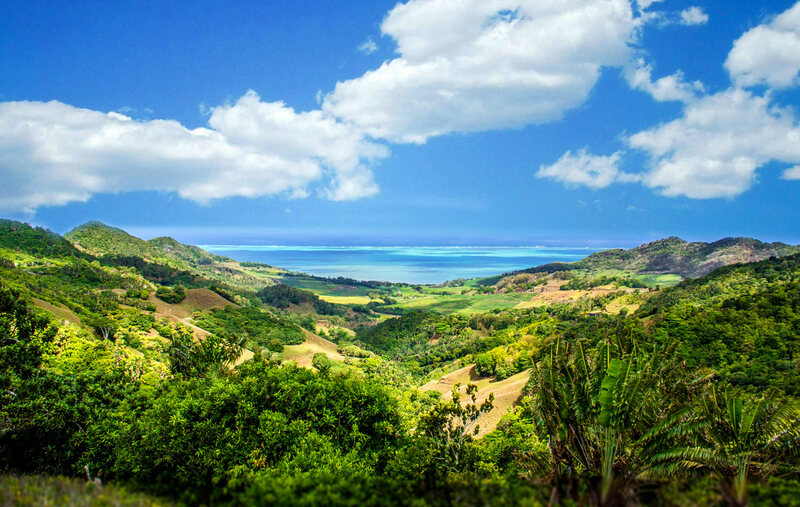 The climb offers exceptional views of the entire south of the island. The landscapes and colors are truly breathtaking seen from above. The first part of the ride is easy and accessible to all. Then it gets tough. To climb to the summit, it is very steep and not secure so it is absolutely forbidden for children. It can be said: it’s downright dangerous so do not be dizzy and be used to physical efforts. At the top, you have an incredible panoramic view of the island and the ocean. Once arrived at the top, I did not regret for a moment all the efforts I had made to get there, it’s just magic! You will also see at the top a large stone cross. 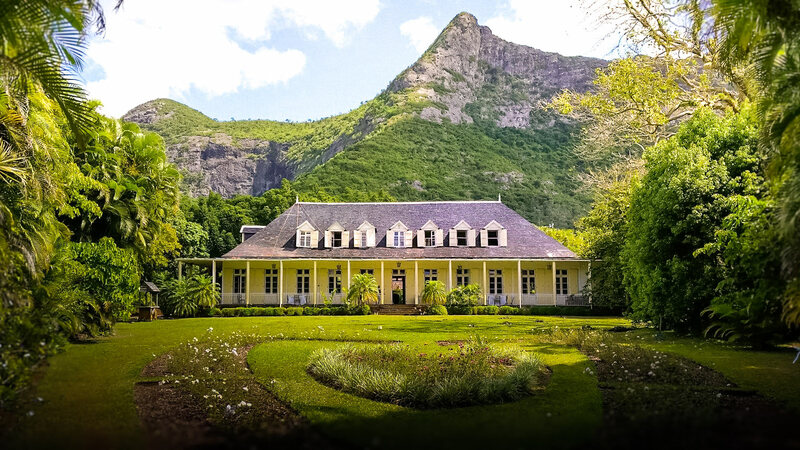 The history of Le Morne mountain is both strong and dramatic, in relation to the period of slavery. Many slaves committed suicide by throwing themselves off the top of this mountain and this cross was erected as a tribute to their memory. During your tour in Mauritius, if you are looking for something to do, I recommend visiting the Pamplemousse Tropical Botanical Garden, located in the northwest of the country in the district of the same name. You can get there very easily by bus, especially from Port Louis in just 15-20 minutes, plus the bus stops right next to the entrance. Created in the 18th century by the French governor and botanist Pierre Poivre, the garden is 37 hectaresand hosts hundreds of plant species from all over the world. You will find a huge collection of plants of all kinds, palm trees of all shapes and sizes, flowering plants, fruit trees, all in a beautiful decor with large green areas and landscaped trails. This is where you can admire the famous giant water lilies of Pamplemousse. Baobab specimens are also very impressive. During the visit, you will also have the opportunity to meet some animals including many bats resting in the trees, chameleons, colorful birds and even mongooses. There is also a part of the park that houses captive animals: giant turtles and cervids. The guided tour is not essential but it allows you to learn much more than the self-guided tour. The guides tell you all about the characteristics of the plants, make you feel their aromas and detail the history of the place. I do not hide the fact that garden guides are usually very loquacious so be careful because you really have to be focused to store everything. That of the group in which we were spoken during the 2 hours of visit and it is true that it was not always easy to listen. If you are passionate, the guided tour is very complete and it will allow you to discover the garden in every detail. If you prefer to spend a relaxing time wandering among the tropical flora, I advise you not to take a guide. The garden is open from 8:30 to 17:30 and it takes 1 to 2 hours of visit. Admission prices: 8 euros per adult, 5 euros per child. 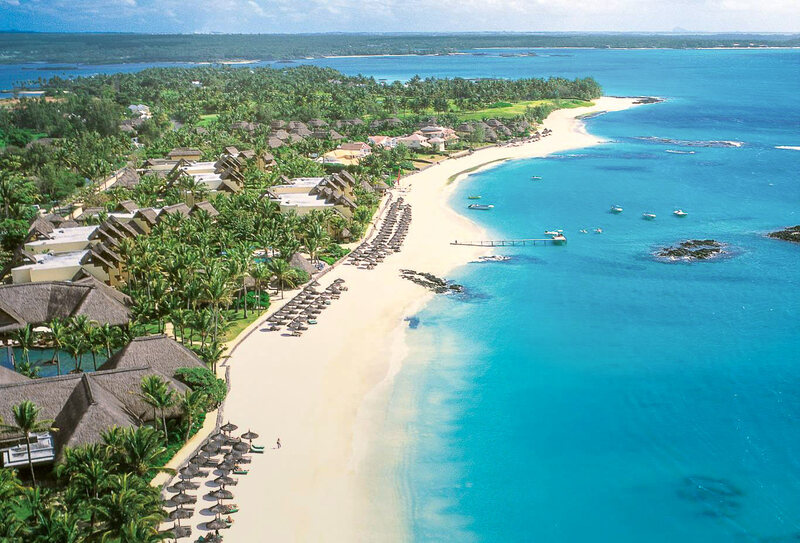 And you, what are the places of interest and the most beautiful beaches that tempt you in Mauritius? 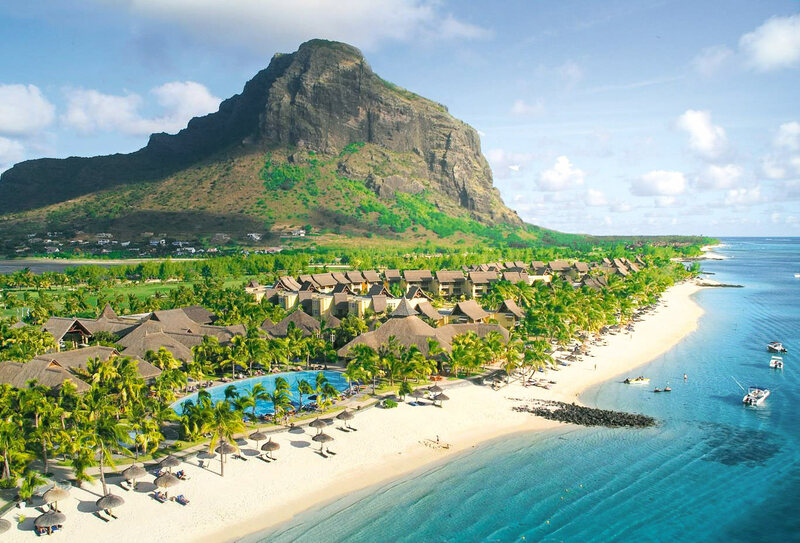 Discover all our articles on Mauritius: all BonAdvisor’s Tips on Mauritius are listed here. 2 weeks in Mauritius: The ultimate itinerary of 14-15-16 days!